What's the Best Gun Belt Weight? One might as well get a gun belt that's the best gun belt weight for carrying every day. 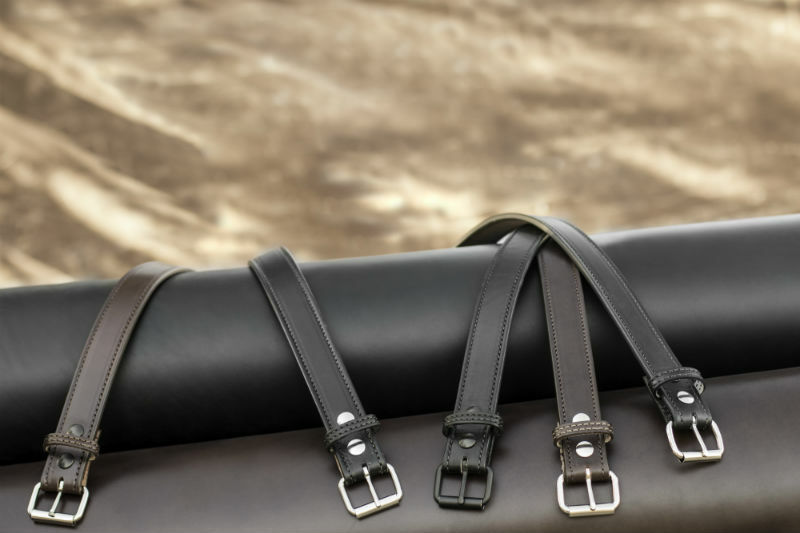 There are some gun belts that are best for the range or the woods, some that are for daily carry, some for use when dressier belts are required and some for just around the house. Gun belt weight is an aspect of that, so one has to pick the belt that's going to best do the job that one needs the belt for. What Influences the Weight of Gun Belts? There are a number of things that determine the weight of a conceal carry gun belt, though it's almost entirely down to the materials that are used in construction of the gun belt. The heavier the material used, the heavier the gun belt will be. Leather is heavier than many other types of cloth, such as nylon webbing. If strips of textiles are thicker than normal, that makes them heavier. On top of that, if a belt is made of TWO layers, then it will naturally be heavier. If the material in question happens to be, say, 14-ounce or 18-ounce leather...that will be a beefy belt. Not unwearable, by any stretch, but definitely on the hefty side. Other things that will add to a belt's weight include the hardware and any reinforcing layers. Granted, these things aren't terribly heavy - perhaps an ounce or two apiece - but it still adds to the total. A dual-layered leather gun belt with a spring steel stiffener is going to be pretty beefy. Then again, so is a full-on tactical duty belt, such as those worn by police or by the military. At most, a gun belt is only going to weigh a pound or two. Granted, that doesn't seem like much. However, ask a serious backpacker how much difference a pound or two makes during a long distance trek, and they'll tell you that it makes a significant difference. Ask an engineer at Lotus how much difference a few kilograms makes, and they'll likely give you the same answer. On paper, it doesn't seem like much, but in practical terms it's huge. How much a gun belt weighs directly correlates to what it's going to be like wearing it. If it's going to be on one's waist for hours at a time, it better be something a person is able to tolerate. When selecting a carry belt, consider what the task that you'll be asking of it is going to be. Is this a belt for wearing just around the house on weekends, while doing yardwork and such? Is this a belt that's going to be worn only while wearing business professional or formal dress? Will it only be for casual wear? 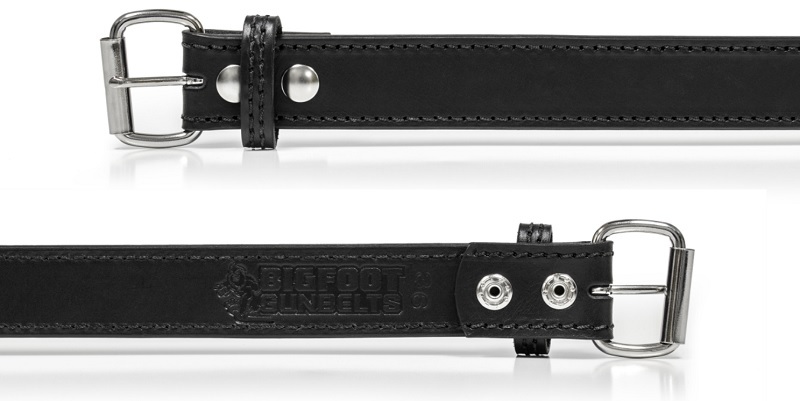 Is this a belt that you'll be wearing on the trail or in the woods while hunting or camping? Or are you looking for a belt that can do all of the above? Some people get multiple belts for multiple purposes. Perhaps they'll have a rigger's belt for range days and the woods, but a leather gun belt, even one with a steel insert for every day carry. It's all up to the person who is going to be wearing the belt after all. A belt that can do it all would likely be leather, as tactical belts aren't really the best fit for the office environment and certainly not if one has to dress in business professional attire on a daily basis. A person that's mostly confined to an office chair during the day can likely afford to carry a slightly heavier belt. A person on their feet most of the day would be better served with a belt that weighs less. A belt of all trades, therefore, has to occupy a Goldilocks zone, if you will, striking a balance between strength, durability and also appearance. Since the scope of how the belt is going to be used is something that should be considered, one should pick a belt along those lines. What's the ideal gun belt weight? It's what you can most easily live with during the intended use of the belt. In other words, if the belt is too heavy to walk around with all day, it's too heavy. If it can be withstood for the periods while one is mobile and while one is sitting, if one is a desk jockey, then it's a fine weight for a gun belt. 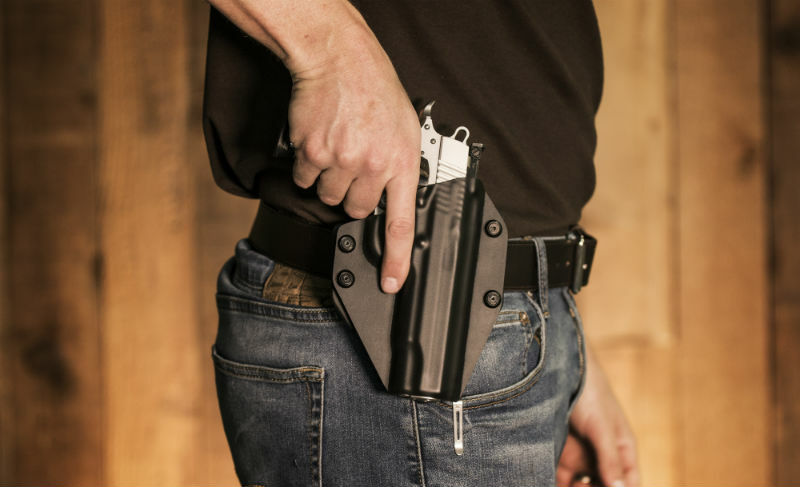 What makes a good gun belt good is that it does the task that it's meant for, namely carrying a pistol and can do so comfortably for hours on end, if asked to do so. If it isn't a tool that you can use for more than a little while, then it isn't any good for you.